Test your knowledge of the history of O & C Lands with this interactive quiz. What does O&C stand for? In what year was the O&C Land Grant Act passed by Congress to spur construction of a railroad from Portland to the California border? What provision was not in the O&C Land Grant Act? The land had to be sold to bona fide settlers. No more than 160 acres could be sold to one individual. The land could not be sold for more than $2.50 per acre. 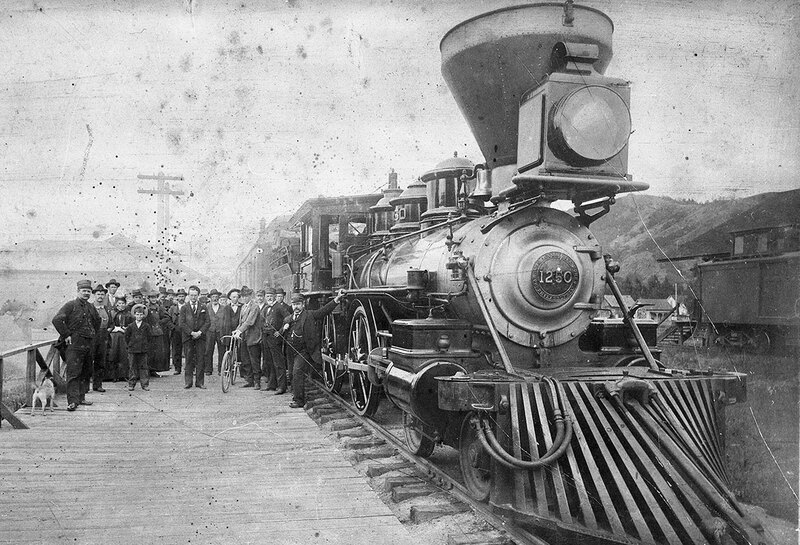 The Oregon Legislature was to designate the company to construct the railroad. All of the above were in or were added to the Act. In what year did Congress grant the State of Oregon lands for construction of a railroad from Portland to the California border? How many O&C Counties are there in Oregon? How many O&C Counties are in California? What year did the Southern Pacific Railroad Company implement a moratorium on O&C Land sales? What President instituted the O&C Grant Lands fraud investigation? What kind of land fraud was engaged in by the Railroad Company? A. Some lands were sold to speculators rather than bona fide settlers. B. Sales were sometimes thousands of acres instead of 160 acres per purchaser. C. Sales often exceeded $2.50 per acre, in some cases up to $40 per acre. D. Condos with swimming pools were promised but never built. The Chamberlain-Ferris Act revested ownership in the unsold O&C Grant Lands in the federal government in what year? What did the United States intend to do with the O&C Lands once they revested to federal ownership? Manage for sustained yield timber production. 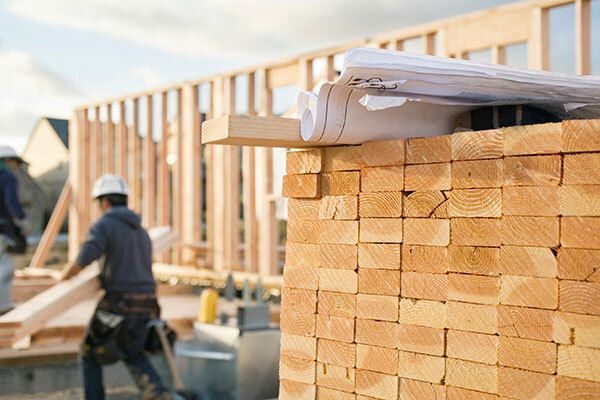 Sell land and timber as rapidly as possible, putting lands back on the property tax rolls. Close entry to protect wilderness characteristics. 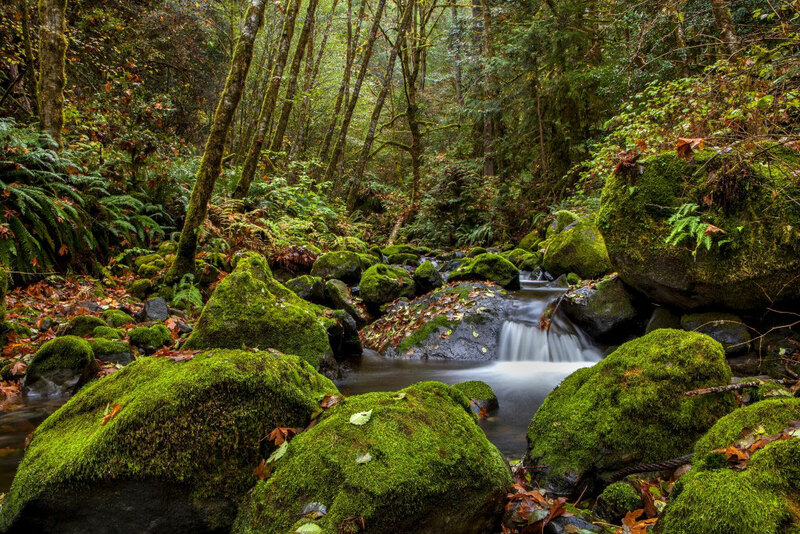 Develop parks and recreation sites, and convey the remainder to the State of Oregon. Manage as a carbon sink. Why did Congress amend the Chamberlain-Ferris Act with the 1926 Stanfield Act? A. Halt land sales and retain the O&C land in federal ownership. B. Halt land sales and begin management for sustained yield timber production. C. Provide financial relief for Counties, which cannot tax federal lands. 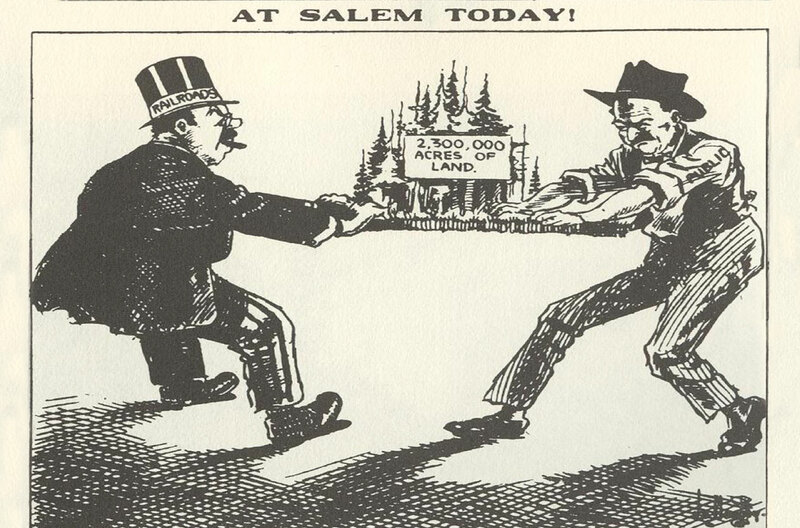 D. Provide financial relief to Counties, because revenue sharing under Chamberlain-Ferris Act had failed. What provisions were included in the 1937 (McNary) O&C Act? Manage for permanent forest production on a sustained yield basis. Contribute to the economic stability of local communities and industry. Provide for distribution of shared timber receipts with Counties. Rely on sustained yield management to provide a permanent source of timber supply, protect watersheds, regulate stream flows and provide recreation facilities. Among the various purposes and goals mentioned, which have the courts found was the primary purpose of the O&C Act of 1937? Provide the Counties with a dependable source of revenue through sustained yield timber harvesting. Until the sustained yield capacity of the O&C Lands was determined, what interim annual timber cut was required by the 1937 O&C Act? What percentage of total timber receipts were Counties granted in the 1937 O&C Act? 50%, increasing to 75% after certain past expenses were paid. How are shared receipts split between the 18 O&C counties? Equal amounts to each county. Based on proportion of O&C timber harvested in each county each year. Split in proportion to the assessed values of O&C land and timber in each county in 1915. Split in proportion to the number of acres of O&C land in each county. For what purposes may the counties use their O&C shared receipts? Port districts, roads and schools only. Reclamation, roads and schools only. Libraries, law enforcement, health services and county parks only. Each county may use O&C shared receipts any way they choose, without restrictions. What does the O&C Act "savings provision" in the Federal Land Policy Management Act (FLPMA) say? The O&C Lands shall be managed as habitat for threatened and endangered species. Cut over lands to be inventoried and sold as rapidly as possible in a normal market. Counties must receive tax equivalency for any commodity sold from the O&C Lands. If there are any inconsistencies between FLPMA and the 1937 O&C Act related to management of timber, the O&C Act shall prevail. Land and Resources Conservation Act. 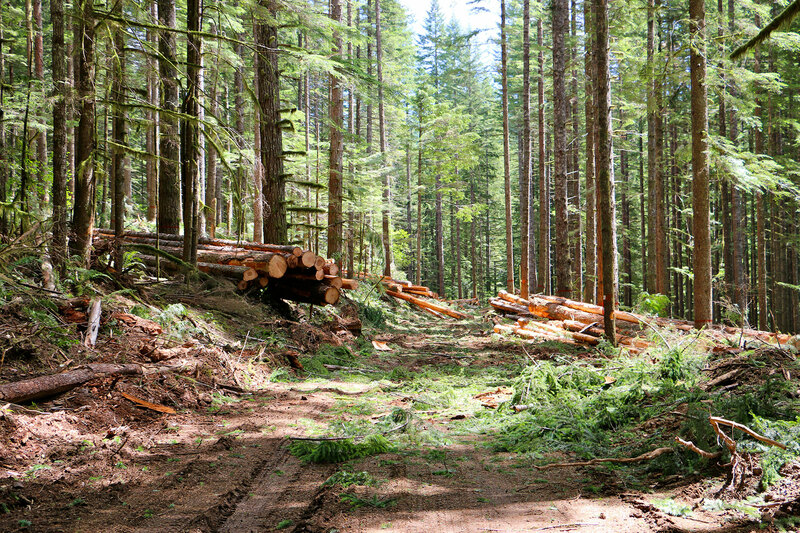 How much timber could the O&C Lands produce on a sustained yield basis? At least 1.2 bbf per year, forever. At least 2.8 bbf per year, forever. No more than 250 mmbf per year.